Focussing on a range of energy types, this volume analyzes the social, cultural and political concepts of energy and their implementation and materialization within technical systems, applications, media representations and consumer practice. Engineering societies work largely independently on undergraduate education. To explore the potential for enhancing societies role, National Academy of Engineering held a workshop on the engagement of engineering societies in undergraduate education. This textbook introduces engineering techniques and practices to high school students. The goals of this book are to help students gain an appreciation for engineering and its role throughout human history, and understand what engineers do. After decades of being largely the preserve of countries in volcanic regions, the use of geothermal energy is now expanding worldwide. This reflects its excellent low-carbon credentials and its ability to offer baseload and dispatchable output. This is a book for beginners in engineering drawing in any engineering. Contents: Review of Geometry; Classical Viewing; Dimensioning, Line Types and Other Views; Development of solids and Others; Lessons in AutoCAD; Sample Questions and Exercises. The book systematically elaborates the theoretical foundation, methodology and fields of application of extension engineering and presents application cases. The characteristics of the book lie in its combination of theory with practice. This book presents an analysis of the results of studies of motor fuels ageing, conducted in laboratory and model conditions, in terms of building a system operating on-line, allowing continuous assessment of the operational usability of fuels. This book is intended to be a guide to all those inventors, actual or would-be, those who have yet to take their first real steps toward making their new product dreams come true. WRTI is an inventors club based at Southampton Solent University. The book offers a deliberately simple introduction to boundary element methods applicable to a wide range of engineering problems. The mathematics are kept as simple as reasonably possible. Several boundary element computer programs are presented. In this text we discuss a computer-based approach to design optimization, to search for the best design according to criteria that we specify. Further, we employ sophisticated algorithms that enable the computer to efficiently search for the optimum. A pioneering Six Sigma work written by two internationally recognized Master Black Belts. The authors present a unique view on how executives, managers and Six Sigma practitioners can use evidence to make better, more profitable decisions. This is a shared appendix with tables for use in book on engineering, math and science. 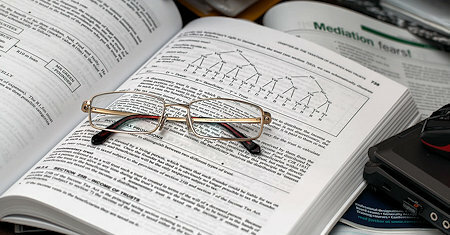 Topics: Integral Transforms; Mathematical Tables; Statistical Tables; Mechanical Engineering; Electrical and Electronic Engineering; Computer Engineering. Revisiting and updating ideas pioneered by 1950s aerospace engineers, and testing her new model extensively on real-world examples, Leveson has created a new approach to safety that is more effective and easier to use than current techniques. The book presents several approaches in the key areas of practice for which the MATLAB software package was used. It will be of great interest to control and electrical engineers and students in the fields of research the book covers. Multidimensional calculus, linear analysis, linear operators, vector algebra, ordinary differential equations. Directed at first year graduate students in engineering and undergraduates who wish to become better prepared for graduate studies. The present book is the outgrowth of a course in statistics for engineers which has been given at Purdue University. The book is written primarily as a text book for junior, senior, and graduate students of engineering and physical science. These two volumes form a most comprehensive and practical treatise on the subject. They show the direct bearing of all principles to engineering practice, and will prove a valuable reference work embracing all the mathematics needed by engineers. The main purpose of the volume is an exposition of the principal methods of determining latitude, azimuth, and time. Generally speaking, the limit of precision is that corresponding to the engineer's transit or the sextant. The book, which is interesting, instructive and wide in scope, is the result of many years of experience in teaching science to mining students on the part of one of the authors and several years' practical experience underground by the other. Shape interrogation is the process of extraction of information from a geometric model. It is a fundamental component of CAD/CAM systems. The authors focus on shape interrogation of geometric models bounded by free-form surfaces. These notes were written for a graduate course on random processes. Students are assumed to have had a previous course in probability, some familiarity with real analysis and linear algebra, and some familiarity with complex analysis. This 108 pages document contains a lot of equations in physics. It is written at advanced undergraduate/postgraduate level. It is intended to be a short reference for anyone who works with physics and often needs to look up equations. One semester introductory course on differential equations aimed at engineers. The book covers first order ODEs, higher order linear ODEs, systems of ODEs, Fourier series and PDEs, eigenvalue problems, and the Laplace transform. This text covers general notions regarding sets, functions, sequences, and series; metric spaces, convergence, continuity, approximations; functions on metric spaces; differential and integral equations; convex analysis; measure and integration. This book was written for engineering graduate students who find themselves caught up in nano technology. The first part of the book provides a solid introduction to classical quantum mechanics, the second part discusses more advanced topics.